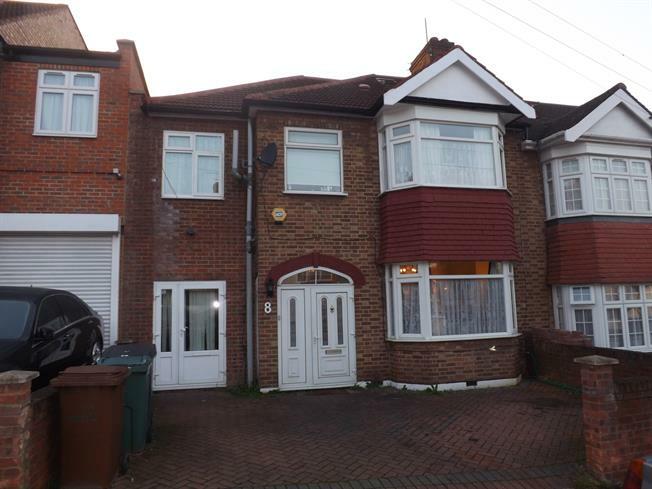 6 Bedroom Terraced House For Sale in London for Price on Application. Guide Price 575,000 - 625,000. Situated in Upper Walthamstow is this six bedroom 1930s style family home. With an additional self contained studio flat included, the property offers very spacious living accommodation over three floors, through lounge, kitchen/diner, en-suite off the master bedroom, first floor family bathroom and a ground floor cloakroom, rear garden over 50ft, off street parking to the front, double glazing and gas central heating. For further details and an appointment to view please contact 0208 520 8966.